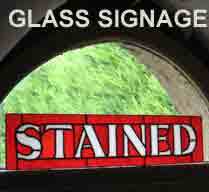 GOT GLASS, aka Broadland Stained Glass, based in Holmfirth, West Yorkshire are specialist stained glass repairers. 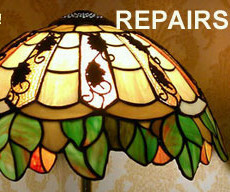 Please note that most stained glass commissions (manufacture or repair) will take 2 - 6 weeks. 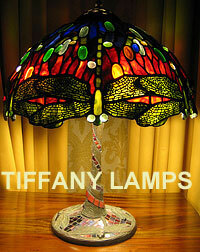 We make and repair Tiffany lamp shades, leaded window panels, glass art panels, and glass photo frames. Double soldering gives a strong and handsome finish, in and out. And with stained glass panels you get two views: one in reflected and one in refracted light! 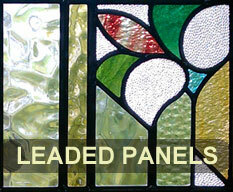 PLEASE NOTE that ALL panels, glass art and shades shown on this web site have been made or repaired by us. Sept 2014: "Hi Ed, I thought that I would let you know that the lampshade arrived safely yesterday. We are very pleased with your workmanship as we cannot tell where the damage was. Dec 2015: "Hi Ed, Thank you so much for making my lampshade. It looked fantastic in the photos, but even better in real life! So thank you once again :) Katie Massey"